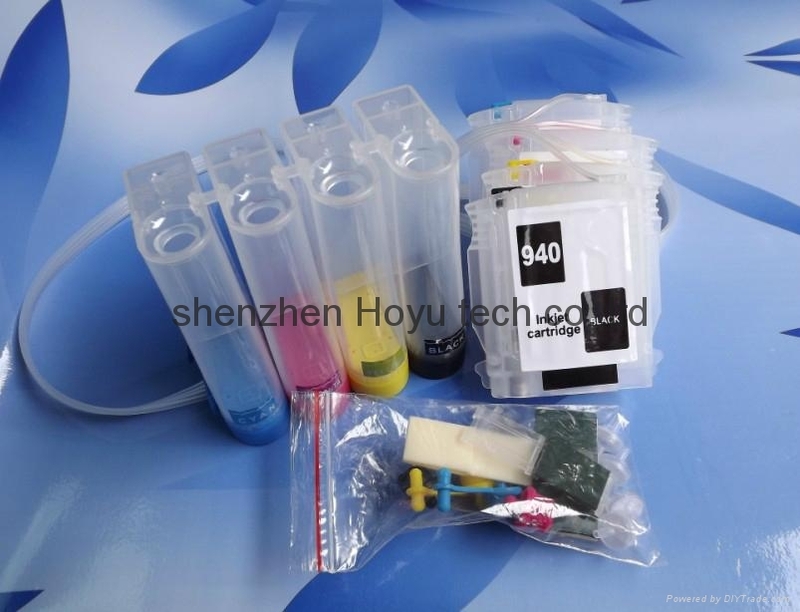 The new model of the 8500/8000 still do not exist the ARC chip, but the oringinal cartridge is very expensive. 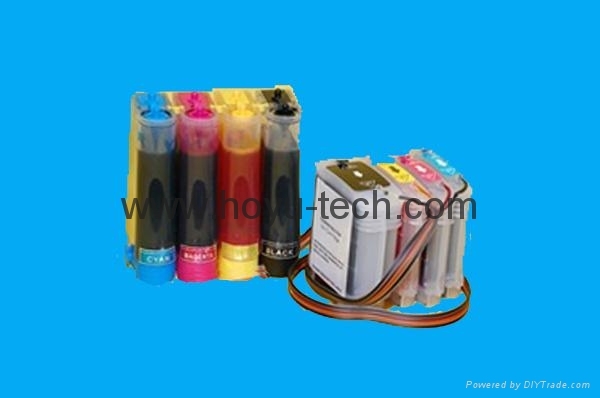 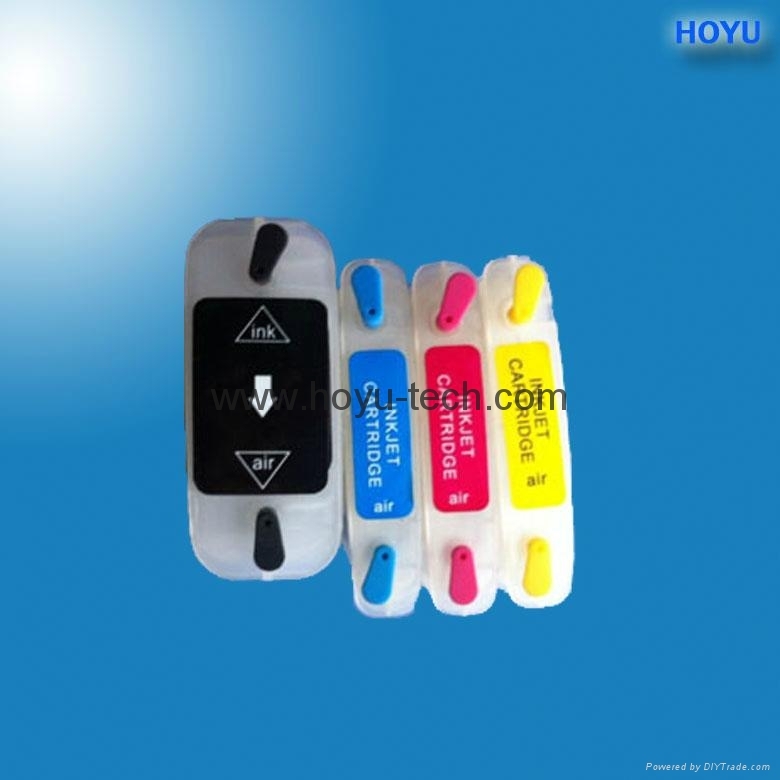 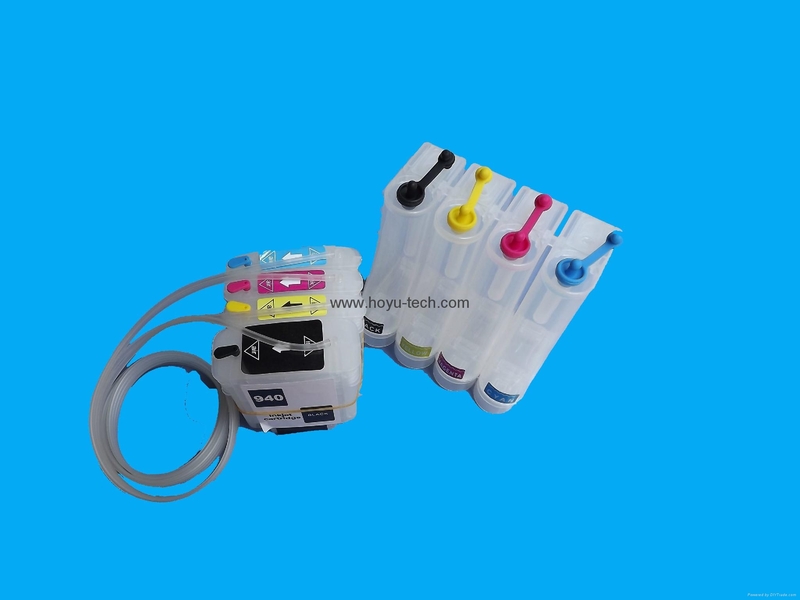 so, we produce this kinds of CISS (bulk ink system ) for hp8500/8000, and this kinds of ciss will work together with the oringial chip , also, it can be reset after reinstalling the cartridge in printer. 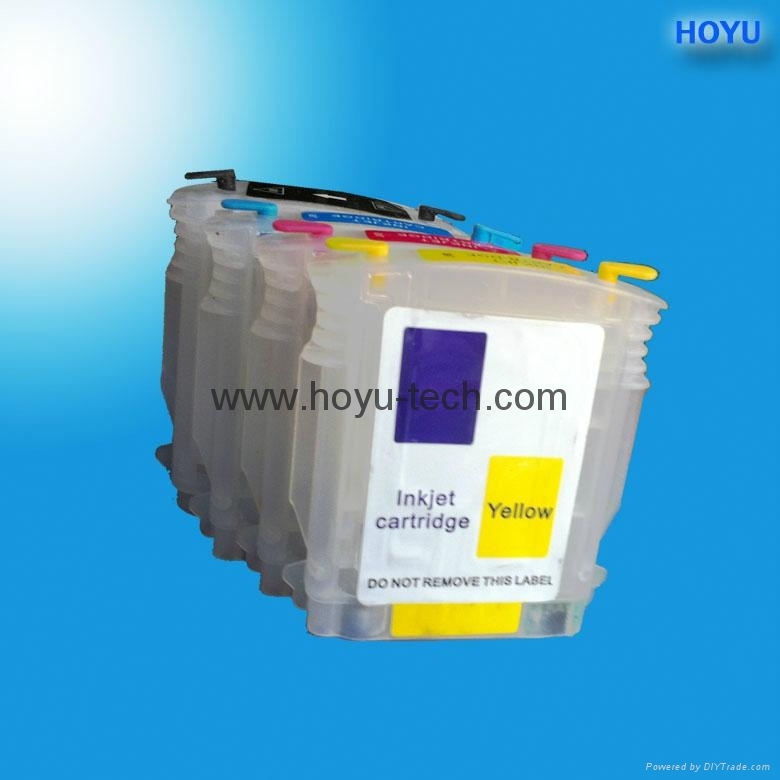 1: Be Economical: CISS is with the ARC chips which can be recycle used, also the price for the CISS is lower than that of the original cartridges. 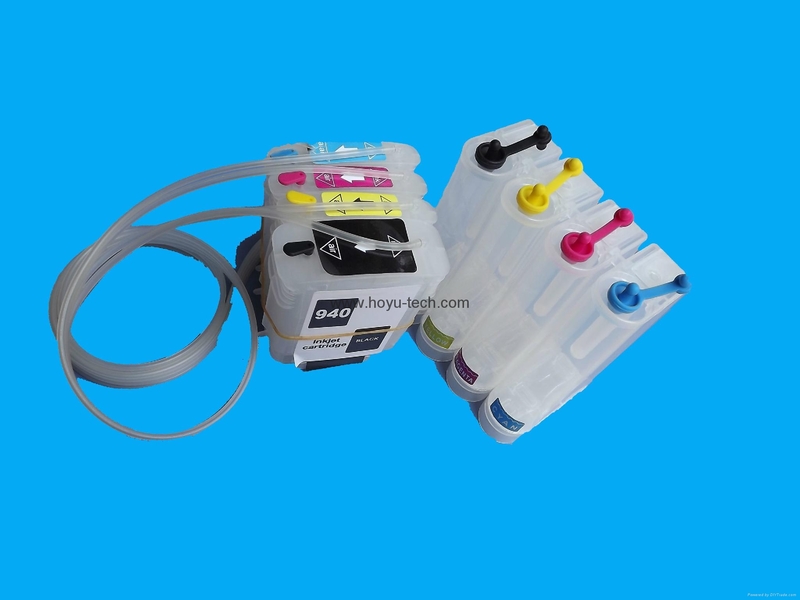 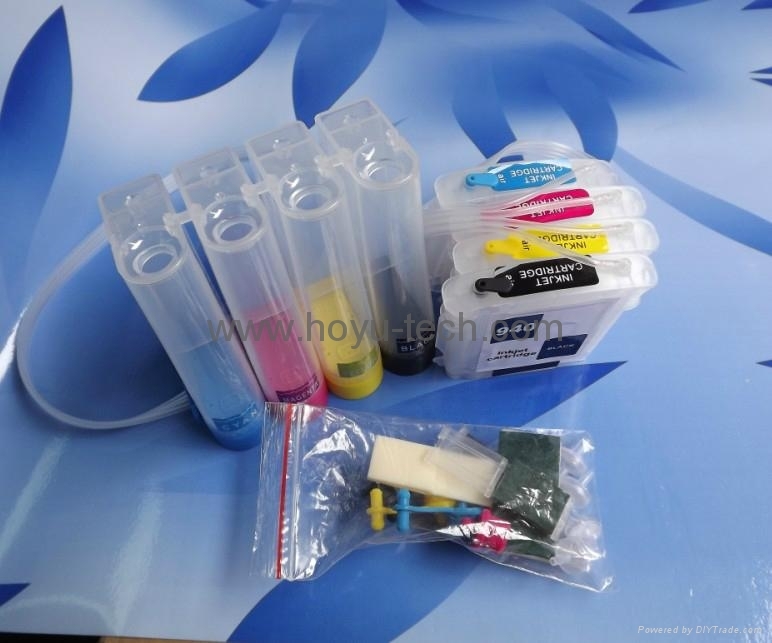 2: Be Convenient: CISS is easy to be installed and reset, meanwhile, the CISS is with tanks which can be filled large quantity inks, so, the cartridge can be used long before refilling. 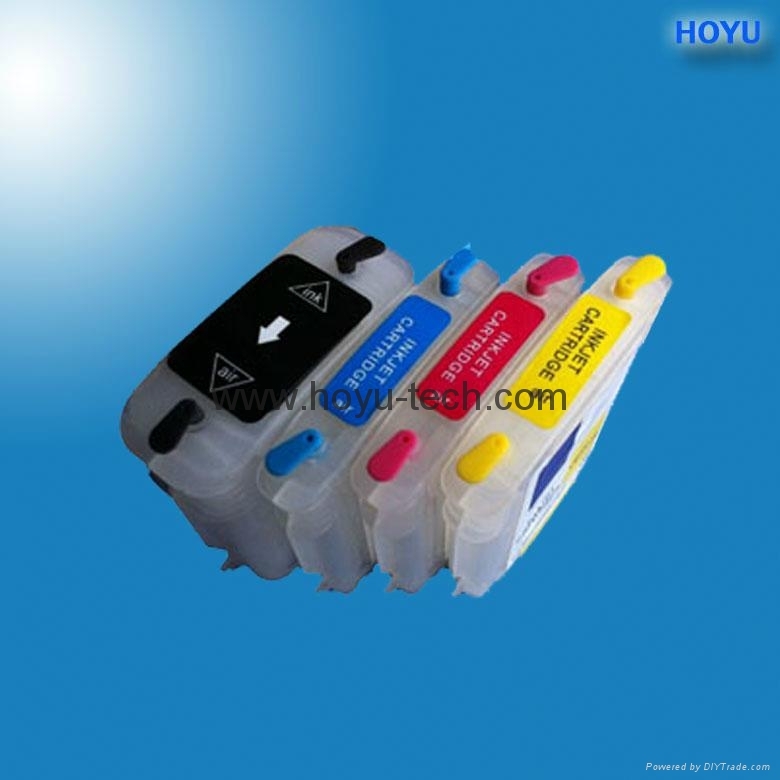 3: Environmental protection: unlike the one use original cartridge, the CISS and refillable cartridge can be recycling used then, it is not only save source, but also produce less rubbishes. 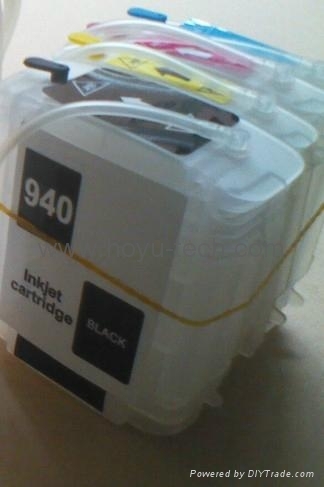 El nuevo modelo de 8500/8000 todavía no existe el chip ARC, pero el cartucho oringinal es muy caro. 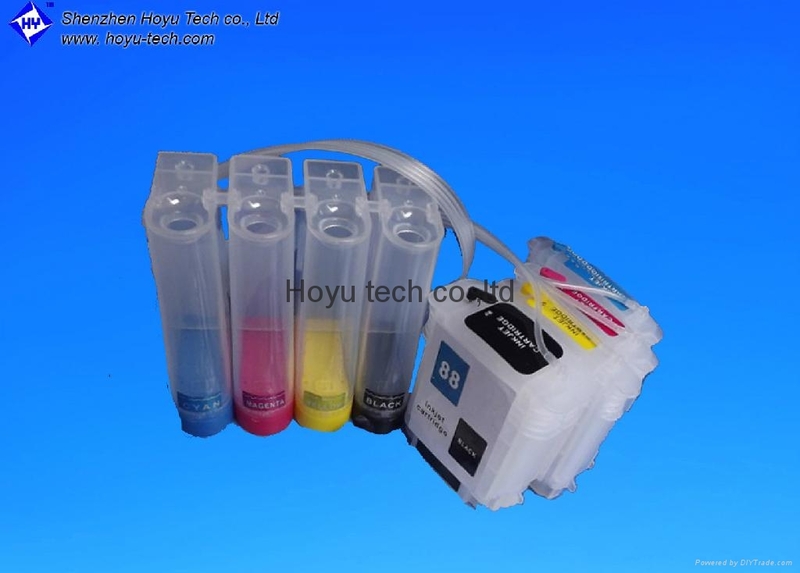 así, se producen este tipo de CIS (sistema de tinta a granel) para hp8500/8000, y este tipo de CISS trabajará junto con el chip oringial, también, puede ser reiniciado después de reinstalar el cartucho en la impresora.